When this baby monkey is left alone with newborn puppies, he starts doing the cutest thing EVER! Though apes are our closest evolutionary cousins, monkeys aren’t too far down the genetic chain. 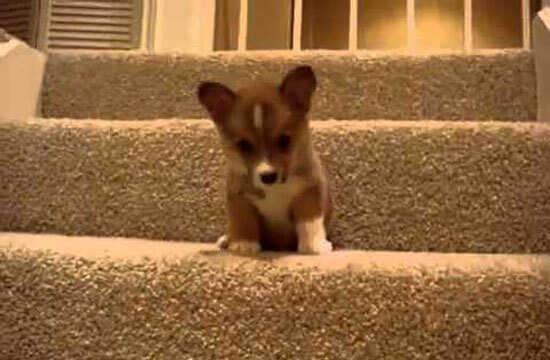 Since they share many of our characteristics, it shouldn’t be surprising that they’ll also have a soft spot for puppies! 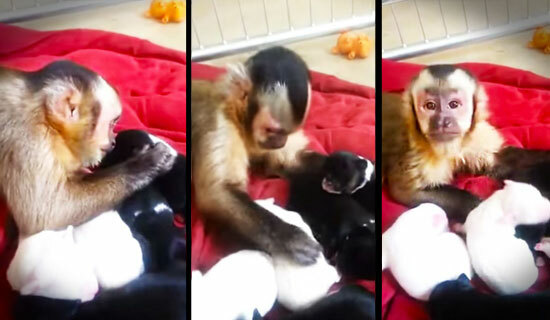 But when a baby capuchin named Tommy meets a litter of newborn puppies for the first time, the result is almost too adorable to handle! Link: When this baby monkey is left alone with newborn puppies, he starts doing the cutest thing EVER!